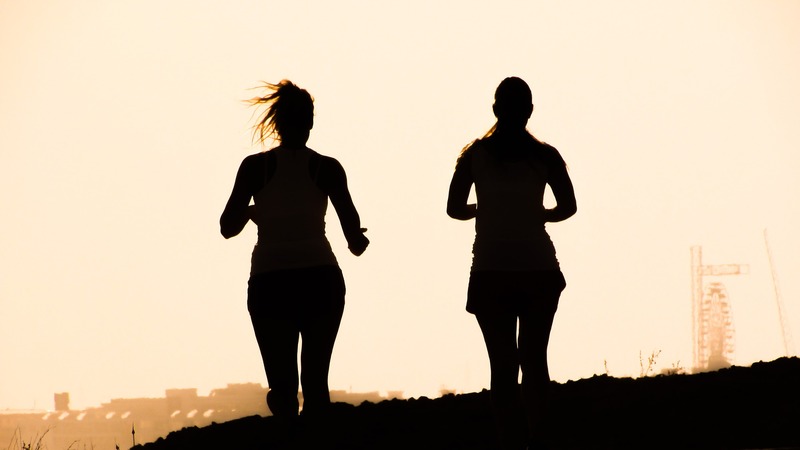 Organized running and walking clubs have been a popular means of getting exercise, testing one’s endurance, and developing friendships on Long Island for over a hundred years. There is a diverse array of clubs that range from competitive marathoners to noncompetitive fun-runners, or just local walkers. Many of the groups meet at local schools and state parks – the trails of Sunken Meadow State Park being one of the most popular running spots on the Island for its long, flat paths and steep hills. Whether you are training for the Long Island Marathon or just want to get in better shape, there is a running or walking club for you. The Bellmore Striders are Long Island’s premiere racing team, and largely consists of competitive young runners. These runners meet three times a week to practice for local and national races. Cross-country training takes place at Bethpage State Park, Sunken Meadow State Park, and on the Greenbelt Trail from Massapequa to Bethpage State Park. Membership requires paying dues for the United States Track and Field Club. The South Shore’s largest and most active running club is the Bohemia Track Club, which offers a variety of track and running activities for both competitive and noncompetitive runners. The only requirement for joining is that you must be involved in running or walking in some aspect, and be interested in connecting with people with similar interests. This more relaxed group consists of members that range in age from 20 to past 70 years old. BTC meets on the third Wednesday of each month at the Bohemia Recreation Center. The Greater Long Island Running Club is the largest running club on all of Long Island, and includes members from Nassau and Suffolk County. Monthly meetings are offered, as well as support services such as special clinics, regular group road runs, and track workouts for athletes of all ages and ability levels (their team includes beginners as well as veteran marathon runners). They pride themselves in having a friendly team of people to run and share advice with. Runners of all ability levels and ages are welcome at the Mount Sinai Running Club, which provides running practice as well as tips on training, stretching, nutrition, running form, and injury prevention. Group runs meet at Mount Sinai High School Track Field or Mount Sinai Heritage Park, and groups are split into beginner, intermediate, and advanced levels so that each group keeps about the same pace. New Hyde Park Running Club is also an inclusive running club that invites runners of all ages and ability levels to exercise and share their knowledge together. The group is part of the Long Island Track and Field Association, and they are very active on the Long Island competitive running scene. The group meets every Sunday morning for a fun run of 4 to 7 miles. For those who are recovering from an injury or want some cross training, early-morning bike rides are also offered most Sundays in the summer. Hew Hyde Park Runners also sponsor the New Hyde Park 8K race every June. The Northern Country Warriors, Inc. is comprised of walkers and runners from Mount Sinai and Wading River and the surrounding areas. Group runs for all ability levels are offered Saturday mornings from the Plaza Sports parking lot in Rocky Point, Sunday mornings at the Miller Avenue School in Shoreham, Wednesday evenings at Cedar Beach in Mount Sinai, and Thursday evenings at the Shoreham High School track. The Northport Running Club is a large group that promotes running for runners of all ages and ability levels. Local weekly runs take place on Tuesday evenings at the Northport High School Track and Sunday mornings from the Copenhagen Bakery in Northport for faster runners, and from the Laurel Avenue School in Northport for moderate runners. The group also has weekly runs on Saturday mornings at Sunken Meadow State Park at Field 1. Workout nights are also available at local schools, which change seasonally. Runners in Valley Stream or neighboring towns may be interested in joining the Valley Stream Running Club, a laid back group of runners, joggers, and walkers of all ability levels. They provide a variety of weekly running groups of varying intensities, such as a regular run group on weekday mornings at 5 a.m. and 6 a.m. that runs 3 to 6 miles at Hendrickson Lake Park. The speed running group meets Wednesday mornings and runs from Hendrickson Lake Park to the Valley Stream Central High School track. Longer runs are offered on weekends, and take runners and joggers through scenic local areas, such as Hempstead State Park, Hewlett Harbor, and Woodmere Park. Bicycle Clubs - A guide to organizations dedicated to biking on roads and trails across Long Island.